"We are certain that we will prevail . . . the only questions being: How many will die starvation-related deaths before state officials sign the agreement? The world is watching!" Those words are from prisoners in California's prison system, 12,000 of whom have chosen to stop eating. These prisoners are routinely abused for their alleged participation in racially divided and violent gangs. Yet they have organized across racial lines and across prisons to nonviolently demand basic human rights, rights that the Geneva Conventions require for prisoners of war, rights that treaties to which the United States is party require for all human beings. 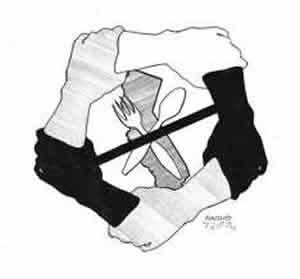 I urge you to immediately begin good-faith negotiations with the prisoners of California who are being denied their fundamental human rights, to end long-term solitary confinement in California and the rest of the United States, and to reorient our prison systems toward the aim of reformation and social rehabilitation as required by the International Covenant on Civil and Political Rights.